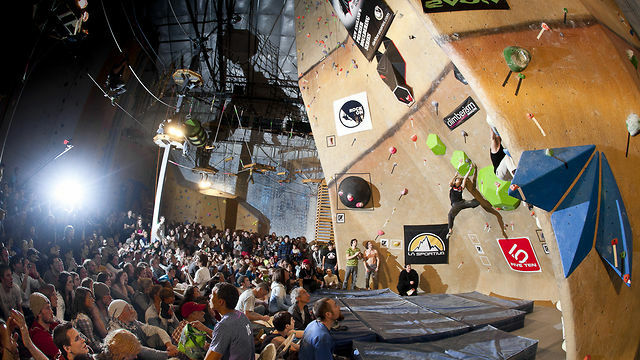 Competitions have become a major factor for climbing gyms that host events or support teams. For the uninitiated it can be a bit confusing to navigate the comp world. To help you understand what it all means CBJ breaks down the world of competition climbing. To understand competitive climbing in the US it’s helpful to start with the international hierarchy of sanctioning organizations. In the US, the national governing body of competition climbing is USA Climbing. What this means is that USAC decides who will be on the US National Climbing Team, which in theory represents USA at international events. USAC is also the organizing body that American climbing gyms work with when they want to host a sanctioned local, regional or divisional level competition. 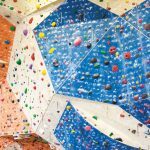 USAC organizes climbing events from the local level all the way to hosting IFSC World Cup events like the Bouldering World Cup held in Vail, Colorado. 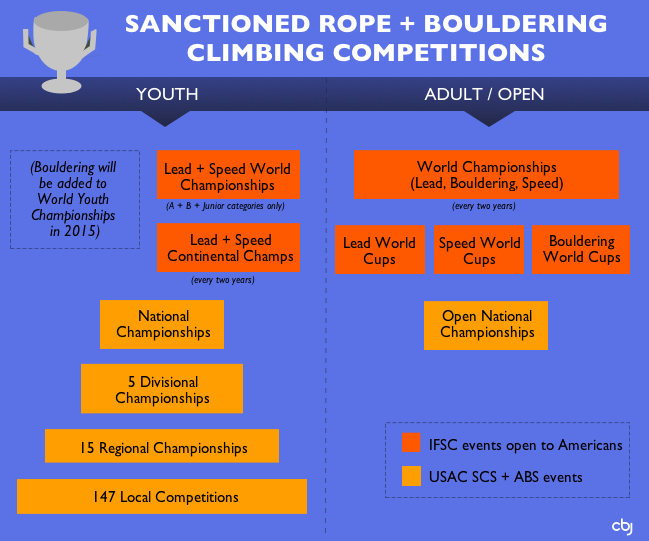 USAC’s sanctioning power comes from The International Federation of Sport Climbing (IFSC) which organizes international climbing events like the World Cup series and the Youth World Championships, among others. Through their officialdom the IFSC has decided that USA Climbing shall be the federation that represents America at international events. USA Climbing has modeled itself after other National Governing Bodies and is recognized by the US Olympic Committee. 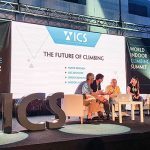 The IFSC, in its modern form, has only been organizing and sanctioning comps since 2006 (the first World Championship was held in 1991, but was run at that time by the International Mountaineering and Climbing Federation, or UIAA). The IFSC’s sanctioning power to host international events comes from the International Olympic Committee (IOC), which gets its power from the Ancient Greeks. Each country has an officially recognized sanctioning body known as a Federation. The French federation is the FFME; in Germany it is the DAV; in the UK it is the BMC; in Japan it is JMA. All of these groups act pretty much the same with notable differences in how they are funded. In Europe almost all federations are given significant financial help from their national government. The UK and the US are notable exceptions to this. Neither gets any financial help from their government. This would change if climbing made it into the Olympics. Adding climbing to the Olympics could mean that America’s Federation, USAC, would be under the protection of the US Olympic Committee and could potentially get funding and training support from the USOC. But that is long way down the road. Until then USAC is funded by member dues, competition entrance fees and corporate sponsors such as The North Face. In these days of live broadcast, glitzy, highly produced climbing comps it’s easy to forget that comp climbing in America is only 20 years old. There were a few stand-alone World Cup events at Snowbird, Utah in 1988 and 1989 organized at that time by the UIAA and the American Alpine Club. But American comp climbing did not really begin until 1994 when the first Junior National Championship was organized by the American Sport Climbers Federation (ASCF), the precursor to USAC. A series of name changes followed. In 1998 the ASCF became the Junior Competition Climbing Association (JCCA). Then in 2002 the JCCA expanded to include adult competitors and changed its name again to the United States Competition Climbing Association (USCCA). But that name only lasted for a year when in 2003 the board of the USCCA decided to rename the organization to what it is called today, USA Climbing. This appellation seems permanent and is in line with other national governing bodies that organize national sports. 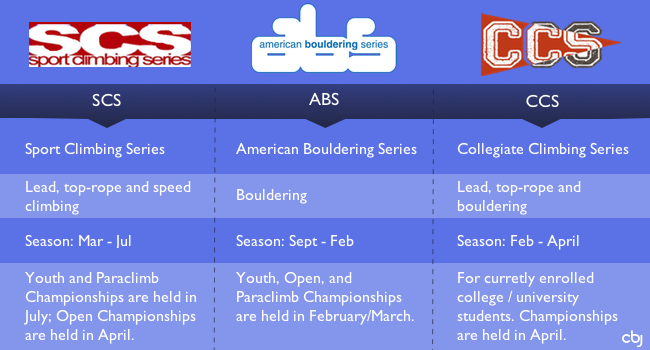 USAC operates three major competition series: Sport Climbing Series (SCS), American Bouldering Series (ABS) and the Collegiate Climbing Series (CCS). While the rope comps grew out of the events organized by USAC’s predecessors, the bouldering comps were started in 1999 by Scott Rennak as an independent comp series in the midwest. 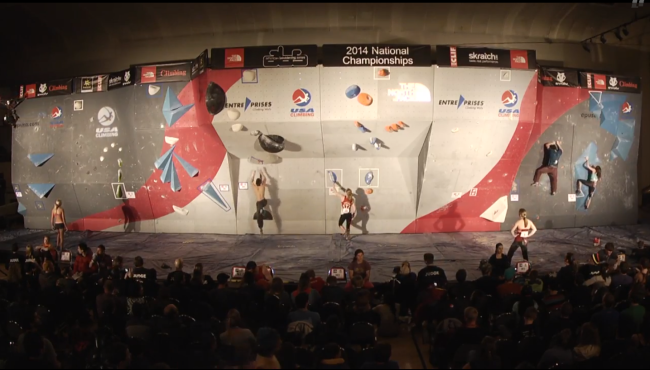 After three years he took the event to the national level and branded it the American Bouldering Series. In 2004 USAC took over operations of the ABS and runs it to this day. 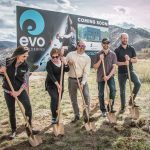 After four name changes and 20 tumultuous years, USAC, a non-profit organization, now has 4,000 members and hosts approximately 220 climbing comps in all disciplines, and has a operating budget of $1.48 million. This fiscal year USAC will pay out more than $469,000 to facilities that host USAC championship events. The other distinction that needs to be clarified before a full grasp of the comp scene can be attained is the difference between Youth and Open competitors. Youth climbers are the lifeblood of USAC and have been the driving force for competitive climbing in the US. In fact they were the main reason the organization started in the first place. To be considered in the youth category a climber must be no older than 18 and no younger than…well there does not seem to be a minimum age for competing, but most youngsters start around 7 or 8 years old. For adults and young adults that want to compete, USAC has created Open Championships for the rope and bouldering disciplines (SCS Open Nationals and ABS Open Nationals, respectively). The Open category is for any person that is 16 years old or older. There are no restrictions on who can enter other than age. But be forewarned that the best-of-the-best register for Open Championships, including full-time sponsored climbers, and making it to Finals requires serious dedication on the part of the athlete. ABS Open and SCS Open National Championships do not have a regular season or qualifying events, but are rather stand-alone, one-off competitions that represent the top-end of competitive climbing at the national level. While USAC’s competitions offer a sanctioned pathway to international competition, the US has seen a number of other independent events. 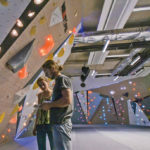 In the early 2000’s the Professional Climbers Association (PCA), brought a professional bouldering circuit to America and in the process changed the way routesetters and organizers think about pro comps. This was followed a decade later by the Unified Bouldering Championships (UBC) which attempted to bring high energy, crazy route setting and splashy marketing to the climbing public. Both of these organizations had great participation from athletes and spectators alike, but were hard pressed to make money for their organizers; both series fizzled after a handful of seasons. America is also seeing a resurgence of one-off, so called, “Big Little Comps”. These comps are organized and sponsored by individual climbing gyms, and attract professional climbers from around the country and abroad. They show up for for what is essentially a local comp because of the extremely large cash prizes. 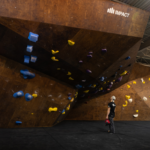 Competitors battle it out for purses as large as $10,000 at events like the Circuit’s Portland Boulder Rally, Central Rock’s Ring of Fire, and Chris Sharma’s Psicobloc. The usual format for these Big Lil’ comps is an all-are-welcome redpoint qualifiers round followed by an on-sight finals, where the real show happens. These finals are sometimes live broadcast on the Internet and are often accompanied by high quality, professionally made hype videos that re-cap the action. One of the most well known Big Lil’ is the Dark Horse, organized by Dave Wetmore and Josh Larson, routesetters at Boston-based Metro Rock. Over the last few years Wetmore and Larson have been able to create what is perhaps the best chance for a resurgence of a professional climbing circuit. 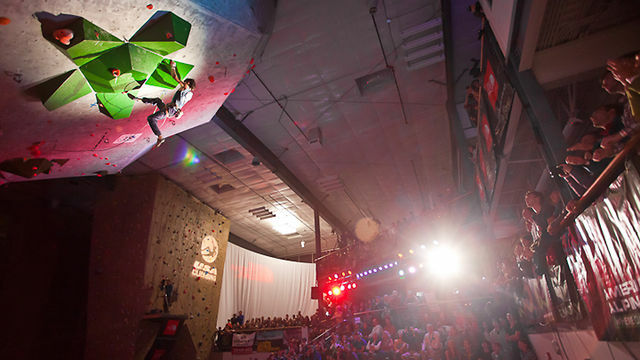 With low overhead and a simple one-day format, this series of events is the closest thing to a comp season that pro climbers have seen since the PCA days. We hope the world of competition climbing is a bit clearer and gets you psyched to host your own comp!